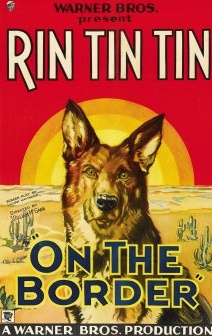 The Adventures of Rin Tin Tin - That was the title of the TV series that ran from Oct 1954 to May 1959. "Yo Rinny (Rinty)" was the cry that Rusty would shout out when he wanted Rinny to go into action against the bad guys. 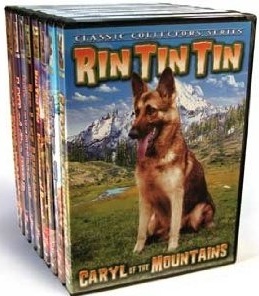 Rin Tin Tin actually got his start much earlier than the 50's. bombed-out dog kennel in Lorraine, France near the end of World War 1. Lee adopted him and brought him home. 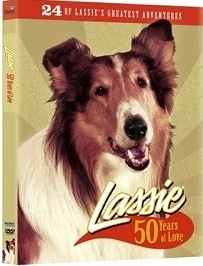 Rinty learned tricks and became a movie and radio performer (The Wonder Dog). their father, who was returned to be buried in his home country in the Cimetière des Chiens. Lee Aaker as Rusty, James Brown as Lieutenant Ripley "Rip" Masters, and Joe Sawyer as Sergeant Biff O'Hara. 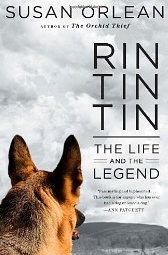 Rin Tin Tin is one of three dogs honored with a star on the Hollywood Walk of Fame (Strongheart, Lassie). 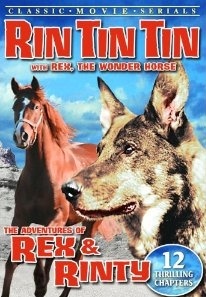 Here's a short clip - The Adventures Of Rin-Tin-Tin - TV intro. HiYa, Kids!! - From Amazon with FREE Super Saver Shipping - $19.99. See details on the Amazon page to bundle the 40-Episode Collection DVD set of the Howdy Doody show. 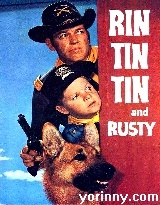 From all the tales of the west we'll remember best Corporal Rusty and Private Rin Tin Tin!